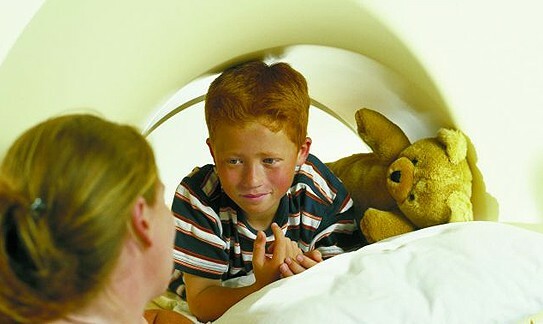 - MRI can often “see” bony injuries that can’t be seen on plain x-ray. - Avascular Necrosis (AVN) is a common finding after wrist trauma. - AVN is bone tissue death due to an interruption of the blood supply. - Fractures of the bone after trauma are responsible for disrupting the blood supply. - It commonly occurs in the Scaphoid wrist bone and the patient presents with local wrist pain. - Minor repetitive trauma can cause AVN of the Lunate bone, known as Kienbock’s disease. - MRI is very sensitive for AVN and will show abnormalities before they are apparent on x-ray.